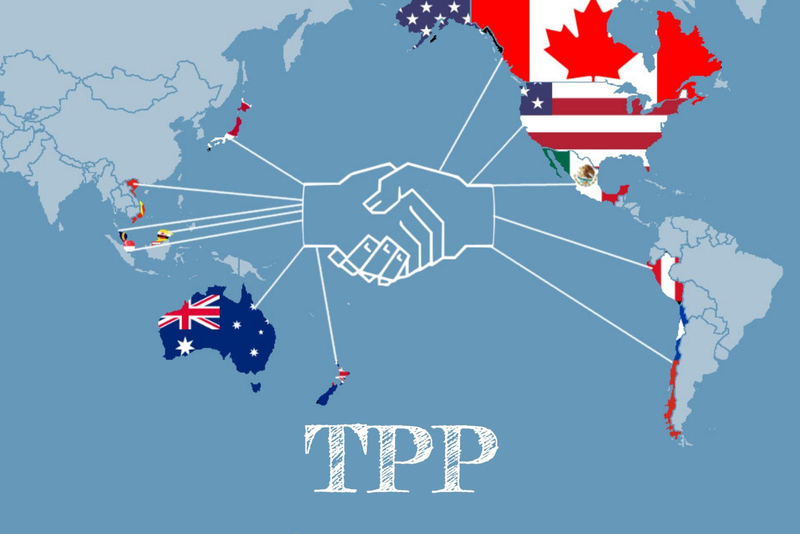 Tag Archive | "Trans-Pacific Partnership"
The United States, Canada, Mexico, Japan, Australia, South Korea, Vietnam, and five other countries stand to gain a great deal from the Trans-Pacific Partnership (“TPP”), a potential lucrative regional trade agreement. The agreement would further lower tariffs and other trade barriers to commerce. However, countries have not been able to agree on how the issue of tobacco should be settled. Specifically, countries have not been able to agree on the extent to which countries should be allowed to regulate the sale of foreign tobacco products. There is a clear consensus in the scientific community and public health-oriented organizations that tobacco use leads to a wide variety of health issues. According to the World Health Organization (“WHO”), there are currently more than one billion smokers in the world. 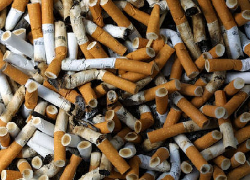 Of these one billion, tobacco kills nearly six million each year, with 600,000 deaths due to second-hand smoke. This high level of tobacco use is leading countries down a dangerous path that will result in more than eight million deaths annually by 2030. Thus, the need for tobacco regulation has never been more pressing. Because of the need for tighter tobacco controls and a disturbingly high level of illicit trade in the product, Malaysia proposed a special “carve out” exemption in the TPP for tobacco. This would allow countries that are parties to the TPP to set their own potentially stiff regulations on tobacco and exempt them from broader potential trade restrictions. This type of exemption could also mean that “health considerations could take precedence over expanded trade.” As tobacco is a uniquely dangerous agricultural product, many, particularly developing countries, have welcomed the proposed exemption. While the Obama administration initially led many to believe it would support such types of strong measures, the administration recently proposed its own weak measure in regards to tobacco. The United States proposal “cites tobacco within the standard public health and safety exception that appears in U.S. trade agreements, but…no longer includes other tobacco-specific protections.” This means that companies would still be able to challenge public health, safety, and environmental regulations. Although some claim that there is language included within the proposed TPP that would “reduce the likelihood of those changes prevailing,” the fact of the matter is that tobacco presents so many health and regulatory concerns that it cannot and should not be afforded the same status as other products. The tension between the free trade and the need for control of dangerous products such as tobacco has never been clearer. While tobacco is still legal, and thus cannot be limited to the extent many would dream of, the tobacco industry has greatly expanded into developing countries’ markets. Nearly 80 percent of all future deaths caused by tobacco will likely be in these developing countries. The United States has a unique opportunity to make great strides in promoting public health and leave the tobacco industry behind in negotiating the TPP. However, the recent U.S. TPP proposal shows that big tobacco business still controls much of the world economy, and that business will continue to be able to challenge helpful and necessary tobacco regulations under the guise of free trade. Bailey Woods is a 3L and Candidacy Editor on the Denver Journal of International Law and Policy. 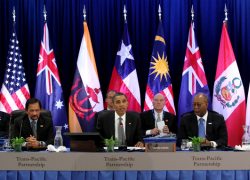 The next round of negotiations on the proposed Trans-Pacific Partnership (TPP) will be held in Singapore this month. This will be the 16th round of negotiations, and they will be held from March 4 to March 13, just seven months ahead of the self-imposed deadline for a deal. The Office of the United States Trade Representative regards the potential treaty as a comprehensive, high standard, next-generation trade agreement that would create the largest free trade area in the world. The provisions reflect an aggressive free trade policy and have drawn comparable criticism. The United States’ participation in the TPP furthers the United States’ free trade policy strategy that began with the North American Free Trade Agreement (NAFTA) in 1994 and continued through free trade agreements (FTAs) negotiated under George W. Bush. The strategy is referred to as “competitive liberalization.” These FTAs were created contemporaneously with a number of other free trade agreements within the Asian Pacific Region. Although the United States currently has free trade agreements with several of the negotiating countries, its involvement in negotiating the TPP began in 2009, following the stall of the Doha Round. There are currently eleven countries negotiating the TPP, including the U.S., Canada, Singapore, and Australia. The intellectual property, investment/financial services, and dispute resolution components are the most controversial. The stated purpose of the TPP is to enhance trade and investment among partner countries, promote innovation, economic growth and development, and support the creation and retention of jobs. Some commentators believe the agreement is intended to counter China’s role in regional integration and contain China’s economic rise. The TPP has met with criticism one would expect of a large multilateral free trade proposal, exacerbated by the public’s limited access to the negotiations. Negotiations are open only to stakeholders, which predominantly consists of large corporations as well as small businesses. The potentially stringent intellectual property provisions and investment protection, which go beyond standards found in other international agreements (such as TRIPS and GATS), in particular, have been cause for concern. Some countries’ negotiators are reluctant to agree to far-reaching text proposed by the United States. The TPP has also been subject to the standard criticisms of liberalization measures, such as the undue influence of corporate interests and the unfair exploitation of labor. The familiar complaints may be explained by the dichotomy of classical versus Keynesian economics. Classical economics holds that economic resources will flow to where they are most efficiently utilized in the long run, whereas John Maynard Keynes famously remarked, “In the long run, we are all dead.” As the global economy shifts to favor higher skilled labor and long-term, capital intensive projects, nations will realize that protecting domestic labor from foreign interests is a losing proposition and will only result in a stagnant economy akin to Venezuela’s. The world should expect more of these large free trade proposals in the near future: just this February, Secretary of State John Kerry called for a free trade agreement with Europe. Meanwhile China, Japan, and Korea have been discussing a free trade agreement of their own. Although these free trade policies show no sign of subsiding, citizens around the world should remain vigilant in protecting issues overlooked on the international stage. Consequences from the export of subsidized commodities or the environmental impact of mining or manufacturing should continue to be vigorously exposed and publicized. Although the digital revolution has increased the pressures of globalization, it has also given average citizens the tools to unite and fight injustice. Alex Milgroom is a University of Denver 2L and staff editor of the Denver Journal of International Law and Policy. Alex is currently studying abroad at Temple University Japan. President Obama is touting the Trans-Pacific Partnership (TPP) as a 21st Century trade agreement, a model for everything from industrial goods to Internet services. The principal purpose of which, like the North American Free Trade Agreement (NAFTA), is to increase trade and remove restrictions on the flow of goods and capital between member states. So far, the negotiations include the U.S., Australia, New Zealand, Malaysia, Brunei, Singapore, Chile, Peru, and Vietnam. Last week, President Obama and U.S. Trade Representative Ron Kirk announced to Congress that Canada and Mexico, the U.S.’ largest trading partner and second largest export market respectively, will join the negotiations as well. 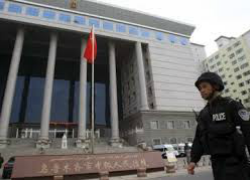 The 13th round of talks concluded this week on July 10th in San Diego after a week of negotiations, with many officials lauding “significant progress” on issues from copyright protection, agriculture products, state-owned enterprises, and financial services. Once an agreement is reached, it is poised to become a trading bloc representing 686 million people and with a total GDP of $20.5 trillion. The prospect of increased profits and jobs notwithstanding, 132 Congressmen wrote to U.S. Trade Representative Ron Kirk expressing their concern that the negotiations lack transparency. Congressman Darrell Issa, a Republican from the San Diego area and Chairman of the House Oversight and Government Reform Committee, sought to attend the talks in San Diego (a rare request from a Congressman) but was denied access to anything beyond generic public events. As with most trade agreements, the negotiations occur behind closed doors with very few given access to the agreement’s text until it is finished. Congress, however, believes that in such a large and unprecedented trade agreement, too much is left in the hands of negotiators and the 600 special interest lobbyists who do, in fact, have access to and influence over sensitive negotiations materials. 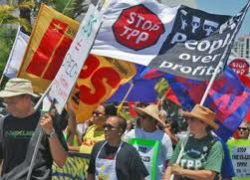 A “Stop TPP” demonstration was organized to bring attention to the treaty negotiations through an ambitious array of protest marches, rallies, press conferences and teach-ins. The coalition included union leaders, Occupy San Diego, Public Citizen, and Global Trade Watch. The AFL-CIO has also voiced its opposition to the TPP. Their concern? Again, that special interests and corporate lobbyists are selling America’s future (and their jobs) across the Pacific for the sake of increased profits. Although the TPP is far from finished, it is gaining notoriety especially since Canada and Mexico became negotiating partners. At the moment, Japan and South Korea have observer status, however; it is likely these two countries will also join in the near future. The TPP may one day encompass the entire pacific-rim with the exception of – you guessed it – China. China has not been invited to join the talks, nor do the current negotiating parties plan on extending one. Many see this is an American move to contain China economically. Whatever the motive, China’s absence does give one pause. And it does make one think that profits are not the only motive involved. Michael Cox is a rising third-year law student at the University of Denver, a Senior Editor for the View From Above, and a Candidacy Editor for the Denver Journal of International Law and Policy.